I've put up lots of pictures from around McMurdo, and now I'm going to try and give a better idea of the local terrain. Ross Island is about 45 miles wide and about 25 miles off the coast of the Antarctic Mainland. 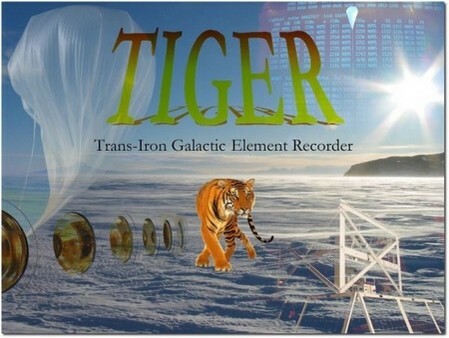 It has been used as a base for a hundred years because it has a large amount of rocky, snow-free land and is at just about the southern extreme of open ocean (although open ocean doesn't reach McMurdo every year). 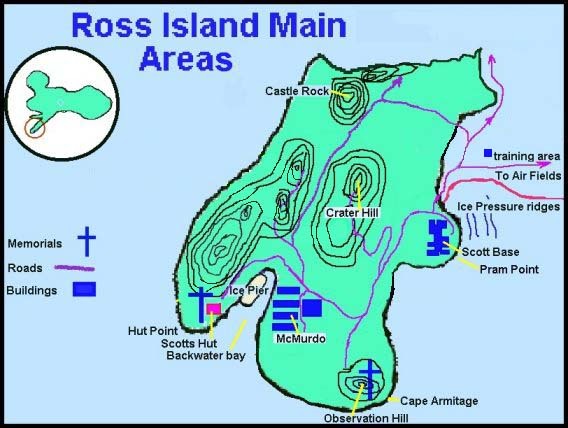 Ross Island is dominated by four volcanoes, only one of which (Mt. Erebus) is still active. Erebus is the tallest at 3794 meters (12,448 feet), and next is Mt. Terror at 3230 meters (10,597 feet). Mts. Terra Nova and Bird are both smaller. McMurdo Station is near the tip of Hut Point Peninsula which is on the southwestern corner of the island. 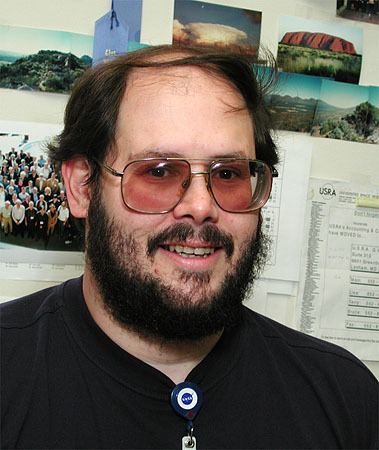 (McMurdo is at 77o 50' 21" S latitude, 193o 19' 59" W longitude, and it is 150 meters above sea level.) 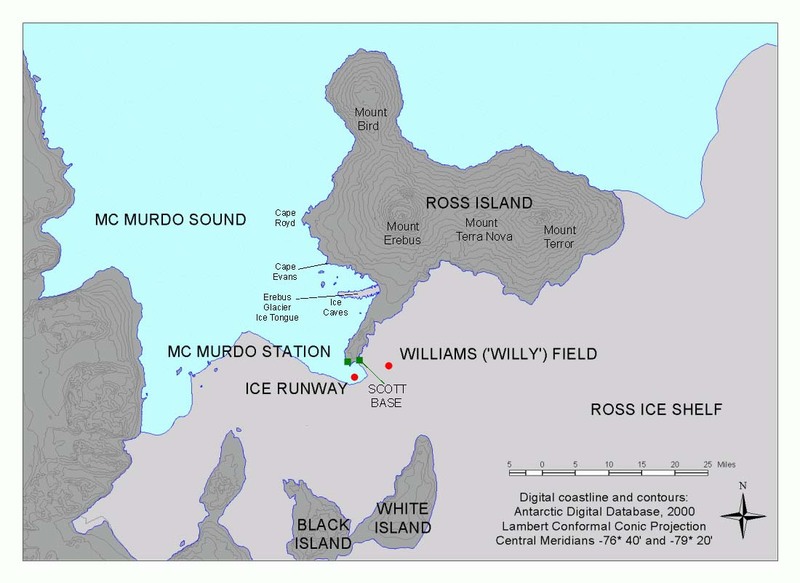 You can see the locations of the Ice Caves on the Erebus Ice Tongue (a spit of glacier that extends out into the pack ice) and of Cape Evans, where Scott's Hut (from his 1911/1912 expedition) is. Jason Link also got a trip to Cape Royd's where there is a penguin rookery and Shackleton's Hut. The grey shows the extent of the ice shelf and the aqua is the pack ice, although not all the pack ice becomes open water every year. The picture on the left is just the tip of the peninsula. On it you can see many of the places I've taken pictures of: Hut Point with Scott's 1902 Hut, McMurdo, Scott's Base (the New Zealand Station), observation hill, the training area where I took Happy Camper School, and the road to Willy field heading off to the right. The Ice Pier is where the supply ships will dock when the icebreakers have cleared a path (January). I'm still hoping to do the Castle Rock hiking loop if I get an available free day. 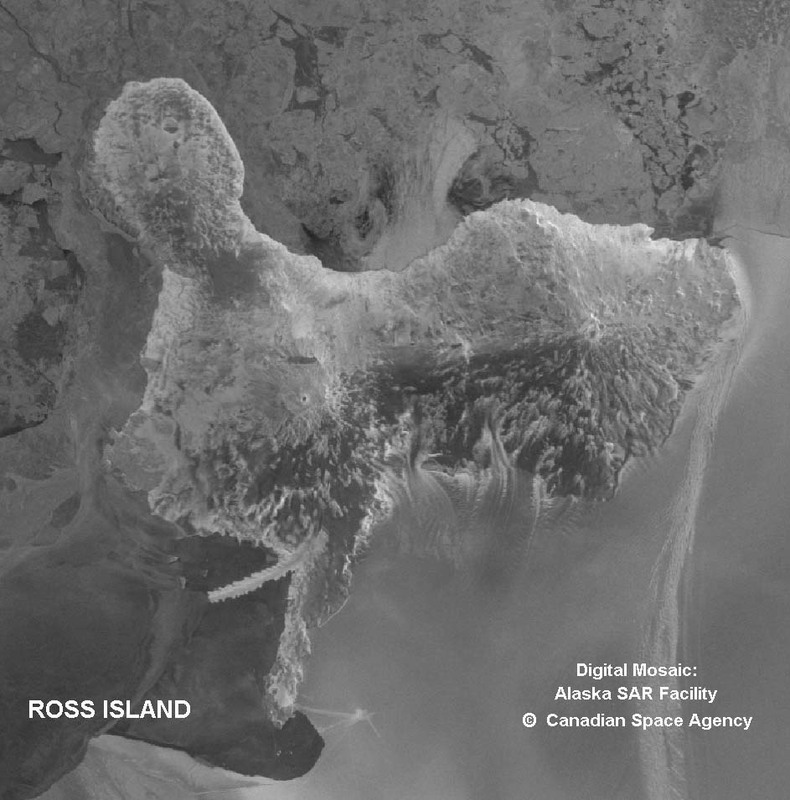 To the right is a radar image of Ross Island. You can clearly see the four volcanoes and the Erebus Ice Tongue. You can also see, off to the right of Hut Point Peninsula, Willy Field as a bright spot on the Ice Shelf. The top line heading off to the left, towards Scott's Base, is the road I take out to the field. The line that heads down to the right is a runway, and the other road (down left) would head to the other ice runway if the open water hadn't reached it the year this picture was taken. If I get a chance, I'll talk about the large (Delaware sized) iceberg currently on the north side of the island that is messing up the normal yearly patterns.